As we mentioned in an earlier article, buyers seem willing to spend more on camera drones than in 2015/2016, but they want to get something very advanced (larger sensors, computer vision, portability, etc.) for their money. 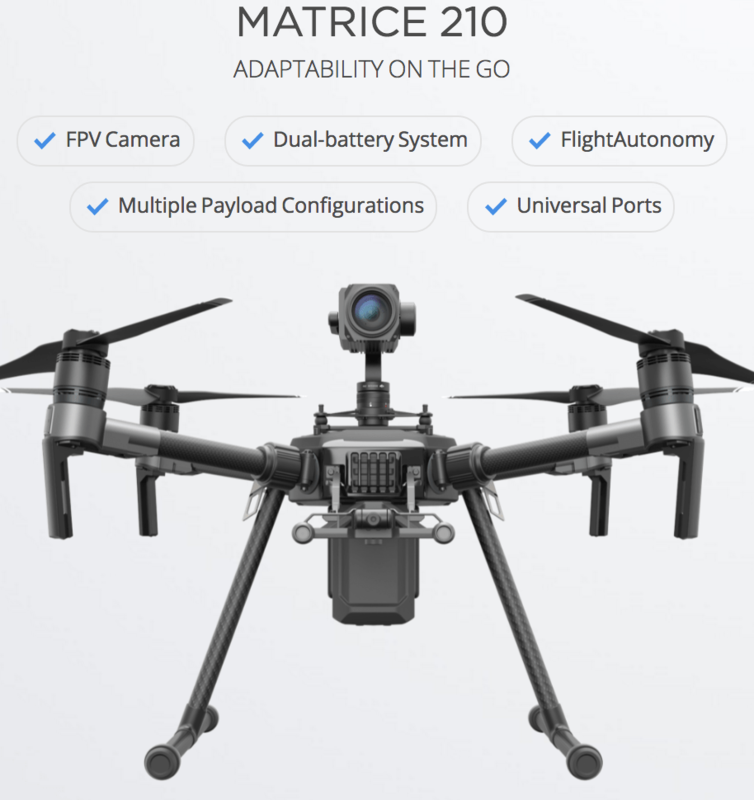 At the lower end, this means booming sales for models such as the DJI Mavic Pro (small size/weight) and the Phantom 4 Pro (larger sensor). Software Overview – With a plethora of drones available, expanding the uses of consumer drones represents a great opportunity. A company called DroneDeploy seems to be leading the pack in terms of mapping software, but many other companies are entering the market. Less capable apps like Litchi are also popular but the relative size of the market is smaller – only a few companies will be able to sell enough $10 or $20 apps to continue development of sophisticated applications. Also, software producers can be easily co-opted by big drone makers such as DJI – who may include similar functionality in future software updates. It is our opinion that only a select few larger opportunities (dronedeploy, etc.) exist on the software side of things in the consumer and light industrial space. Yet, as usual, dozens of firms are entering the segment. This points to the typical “gold rush” capitalist mentality where most firms are likely to fail while a few prosper. 2. Cloud storage, processing and integration (related to the Software Category). 3. Education – at all levels, from initial operation to help with business operations. 5. Drone Rental and other associated photography equipment and staffing. As with many of the other categories, there is only room in the industry for “X” amount of any service…so there will likely be some head butting as companies compete for the same “space”…spaces which, in some cases, may not exist in the bullish case many of these companies imagine. As an example, let’s discuss the “find a drone job” type of site…of which new ones seem to be popping up almost daily. creating such a site is very easy. However, pilots (Part 107 qualified) have little idea of whether or not these sites will be able to deliver job opportunities. Pilots have been signing up but the other end of the equation – that is, actual paying jobs, do not appear to be populating these sites. Some have reverted to “playing the lottery” by taking unrequested pictures of Real Estate for Sale and then trying to sell the pictures afterwards to the listing Realtors. This type of scheme is unlikely to work out well in the long run. I have also noticed that the prices for Real Estate Aerial Photography have generally started out very low – and seem to be headed lower. This makes some sense as there are likely hobbyists and spare-timers who are willing to do a job for much less than a full time pro. Many Real Estate firms have already hired contract or full time drone pilots who provide them with aerial photos at prices that would not entice more true “pros” to step out of bed in the morning. This leaves a big question mark as to what the future of the lower end of aerial photography and video will be. Sure, there are some firms specializing in million dollar+ Real Estate which can make a reasonable fee – but most Real Estate is marketed on tiny budgets. Of course, there are lots of additional types of jobs in addition to Real Estate. However, the point here is that the supply/demand curve is likely to be tilted toward consumers of these services…making it difficult for many to get steady work with their camera drones. For now, the Services Sector belongs to the more experienced pilot with connections at the higher end of planning, multi-million dollar real estate, professional video creation, etc. Others planning to make decent income taking pictures and video with their camera drones (under part #107) are going to have to get creative and innovative and start new markets such as working within a specific tourist trade (videos of water skiers, parasailing, etc. and similar efforts). Education will always be needed – but the “cost of sales” is an important item to consider. Part 107 has provided a good jolt in terms of opportunity, but this too shall pass and educators will have to move on to additional courseware. Whether or not the public is ready to pay is somewhat in question – self study has become popular online and fewer students seem to be choosing in-person or custom tutoring and classes. Companies like DJI and Yuneec could definitely help in this department by keeping lists of educators for referral to their customer base. Add-ons refers to hardware additions – everything from cases to ND filters and much more. The market for these items is relatively small (x percentage of relatively low sales of X model) so success in this market will go to companies that create multiple products and move quickly to bring them to market. Summary – many of the industries’ wishlists have been granted in 2016/2017. The FAA has started to help the industry and opened a path to light commercial uses. The technology available for consumer prices ($400-$2,000) has advanced – putting quality aerial photography into the budget of millions of potential buyers. Most forecasts, including ours and the CTA, call for 2017 t0 be a good year for consumer drone sales. 2019 should see sales leveling out with slower growth or stagnation (or even a decrease) forecast for coming years. This seems even more certain if it’s hard to find money making opportunities at the lower end of the camera drone marketplace. However, the market is always likely to surprise us – perhaps someone will come up with the “killer app” which allows a greater demand for Part 107 services. Here at Droneflyers.com we are experimenting with various tests and focus groups to see what types of aerial photography that the public desires. We’ll be sure to note any successes and failures in a future report. Thanks for reading – please leave your comments below.